In a recent blog post, we announced the availability of the “My Kentik” self-service analytics portal. We highlighted the great value-add that Kentik’s service provider customers can now deliver to their end-customers with real-time network data insights. Read ahead to see why having this visibility is important not only to the service provider, but also to their end-customers, who consume those services — subscribers, digital enterprise, hosting customers, etc. Where is my money spent? Option 1: You pay a fixed monthly amount to your landlord — rent, garbage, utilities, are all included, but no further breakdown details are provided. Option 2: You pay only the rent to your landlord. You pay all other bills on your own directly to the providers. Option 3: You can log in online to view and pay an itemized bill with all the details presented. Even better, you can make suggestions on choosing different utility vendors. Hold your thoughts for a moment and think about managing the infrastructure OpEx in your business. How would you want to pay those bills? 74% have used a self-service support portal to find answers to service-related questions before calling an agent. So which factors are driving the self-service revolution in the customer engagement model? First of all, the self-service portal visualizes the service — it gives consumers a better way to utilize existing services and discover new services that can help solve the business problem. Second, the self-service portal improves communication and productivity. With the same view that the service consumer has now, it is more likely to have a meaningful conversation with the service provider and more efficiently pinpoint the issues. Third, the self-service portal is a great tool for consumers to increase the value of the services by visualizing them. Last but not least, as a positive side effect, service consumers now have the opportunity to learn new skills and improve knowledge of the products and services provided by the service provider. The “My Kentik” portal is a built-in feature of the Kentik platform that enables curated, self-service network traffic visibility for downstream customers. Now service consumers can get a level of visibility that’s never before been available to them — powered by the same dataset their providers have, but highly customized. Imagine you are subscribed to DDoS protection services from an MSSP (managed security service provider). When an incident occurs, using “My Kentik”, you can now immediately access the traffic and alert details yourself. That allows both high-level and drill-down analysis to speed up troubleshooting and issue resolution, even while waiting on the phone with customer service. To see for yourself, sign up for a demo or free trial. 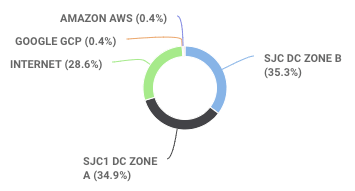 If you are an enterprise customer who buys Internet/MPLS circuits, with “My Kentik”, you can now view your WAN traffic utilization and understand which departments, WAN sites, and data centers are driving network utilization. You can also use this data to make a more cost-optimized plan for network changes and expansion. If you’re part of a team of application developers or architects, the “My Kentik” portal can provide cloud or data center traffic insights, so you can understand how the applications you’re deploying are affecting the infrastructure and vice versa. That includes the east-west traffic between microservices and other components within the app itself and informs app architecture decisions that help avoid impact from infrastructure bottlenecks. If you are a customer receiving IP transit or peering services, “My Kentik” can provide traffic utilization and billing correlation analysis. Breakdowns like port utilization, geolocation, ASN, and traffic type breakdown uncover the drivers behind total traffic volume and explain unexpected increases and cost exposure. 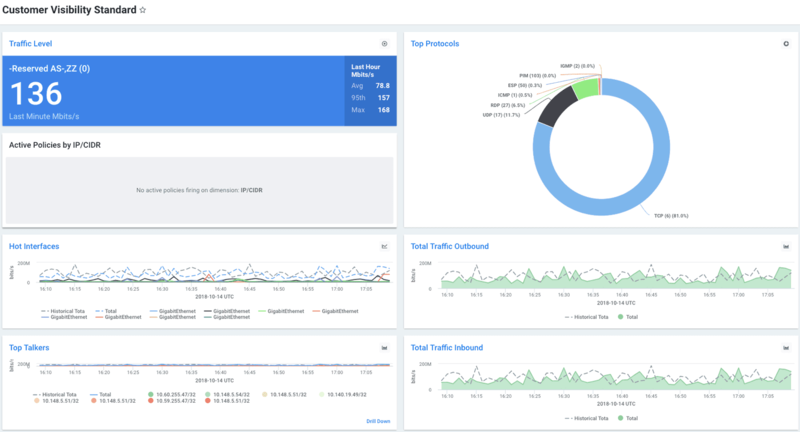 If you’re a customer of hosting or IaaS services, “My Kentik” can provide an understanding of traffic details such as per-host and per-site utilization, application / service utilization and even connection-level details of each host’s historical network activity for security and forensic analysis. My Kentik Portal delivers transparency across all of these customer types and use-cases that can shorten incident response time, make troubleshooting far easier, enable more robust infrastructure, and accelerate business growth. Talk to your service provider now and ask about their integration with Kentik. For more information, please see the “My Kentik” solution brief and the Subtenancy topic in the Kentik Knowledge Base or contact the Kentik Customer Success team at support@kentik.com.